Now you can hear your friend's voice and even see their face anytime you want. Whether you're on a computer or your mobile device, use free voice calling and free video calling as much as you'd like with LINE. Available for use with the iPhone and Android versions of LINE. For those of you with unsupported devices, you can still use free voice calling/free video calling on your computer. 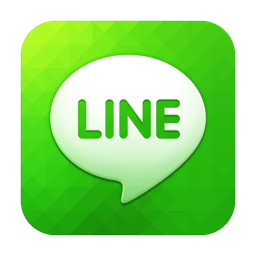 Please update your PC or mobile app to the newest available version of LINE in order to use this service. You can make a video call with a single click from the chat room. Chat with many friends at once using the fast and easy group chat function. Create or join groups as you wish and chat with up to 100 people at once. The "Shake it!" feature enables you to add a friend simply by shaking your devices together. You can also exchange IDs using QR codes. Added Direct Download link which contains the .apk file for Line.